The DK books are heavy on photos and strip the text down to the essentials. However, I like the thematic approach to Top 10 Venice. Using the lists you could spend a day searching out the top 10 churches, palaces, or bridges -- and see a lot of Venice along the way. These books are particularly good for those who love museums but aren’t sure what’s important to see. Top 10 Venice sets out lists for each of the major museums (all listed on the Top 10 Museums list) with what to see and a sentence or two about why it is important. This is a great book for the cruise set, and it is also family-friendly. Many children enjoy the DK Eyewitness books, and with Top 10 Venice, young readers can help to set the family itinerary. First off, let me say that the best part of Venice Day by Day is at the very back. There is a clever little plastic pouch containing a fold-out map of the islands. And I have to say it isn’t so big that it is cumbersome nor is it so tiny that it is illegible. Like Goldilocks, I think it is just right. Billed as “23 smart ways to see the city” Frommer’s Venice Day by Day is clearly aimed at the average traveler in Venice. Since the vast majority of Venice’s visitors arrive and spend fewer than 24 hours on the island, the book features itineraries for seeing “the best” of Venice in one, two or three days -- fantastic for people on cruises who want to skip the pre-packaged excursions and see the city’s pleasures independently. Venice Day by Day also sets out thematic itineraries including “Venice’s Best Churches,” “Art in Venice,” “Venice’s Most Memorable Views,” and “Places to Escape the Crowds.” However, most of them represent a very ambitious day of touring, so if you are looking for specific itineraries, know that you may not be able to accomplish all of those sites in one day. Both Venice Day by Day and Top 10 Venice are packed with ideas about where to go, but each location is reduced to a sentence or two, so you may want a second volume along to know what you are seeing once you get there. It’s big. It is full of information. And it is helpful. Looking for photos? You won’t find them in the Rough Guide and the hotel recommendations are a little vague. But if you are spending more than a few days in Venice and the Veneto, this is the book for you. The content about the Veneto (the mainland near Venice) is very complete, too, which is helpful for those wanting to visit Padua, Verona, or Treviso. My big complaint: the maps. They are poorly divided in the book,and my map pages fell out after one day of use. Books like Frommer’s and Top 10 are great in preparation for the trip, but once I’ve decided where to go, Art/Shop/Eat Venice goes in my camera bag for the day’s excursion. It doesn’t give you information about everything. But Art/Shop/Eat Venice hits all of the highlights, gives detailed information about each location, and confines itself to my favorite diversions in Venice: museums and galleries, restaurants and cafes, and charming shops where you can buy locally-made goodies. The museum content is particularly good including highlights from each major museum, biographical information about artists like Titian and Canova, historical information, and maps of most of the major museums. Art/Shop/Eat is a manageable size -- perfect to throw in a purse or camera bag, and the city maps are quite good, too. For history buffs, this is a must-read before departing for Venice. The island city’s history is fascinating, and Mentzel’s prose is clear and compelling. Beginning with a chapter entitled “Barbarians and Refugees: 450-828,” A Traveller’s History of Venice unfolds the political, religious, and sensual history of Italy’s most unique city from its beginnings to today. In addition to the historical discussion, Mentzel also includes several helpful lists including a timeline of major events, a list of the Doges, a map and list of churches and synagogues, and a discussion of that great symbol of Venice: the gondola. A good map of Venice is very important. The labyrinthine city lends itself to getting hopelessly, romantically lost without fear. Even if you don’t know where you are, you are never very far from where you are going. That said, if you find the maps in your guidebook to be inadequate, stop by the ticket booth at the Ferrovia vaporetto stop. 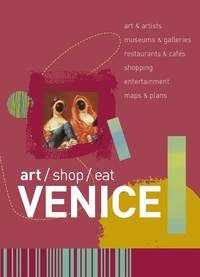 Here you can buy the city’s official guide: Easyguide Venice and the Islands. The guidebook isn’t all that interesting, but the map is accurate and very detailed. The Easyguide is available in multiple languages, too. A charming and informative book about Venice, This is Venice is intended for children, but their parents will learn just as much. With quirky illustrations and even slightly-odd text, This is Venice is not the treacly fodder so often disguised as travel books for children. Rather, This is Venice answers the questions children ask: Why aren’t there any cars in Venice? What is that boat called? How big is a gondola? And can I feed the pigeons? (non-fiction) Author John Berendt paints a complicated and fascinating picture of the burning and rebuilding of La Fenice, Venice’s famed opera house. On January 29, 1996 the opera house burned to the ground. Berendt investigates the allegations of arson, corruption, and malfeasance, and in the process reveals a seamy side of a beautiful city. (memoir) Judith Martin, more commonly known as Miss Manners, spends a great deal of her time with the ex-patriot crowd in Venice. Her memoir is both a love letter to her adopted home as well as a means for name-dropping and bragging. Nonetheless, it is a good read. Glassblower Leonora Manin's marriage falls apart in London. Her ex-husband marries his mistress. And Leonora falls into a deep depression which cripples her until she decides to leave it all behind to move to Venice. There she connects with her ancient family's history and redirects her own future as a result. Fascinating! (fiction) Walker’s protagonist, Nel Everett, does what so many visitors to Venice dream of: she simply steps out of her life and stays. She then must build a life for herself in her new home. 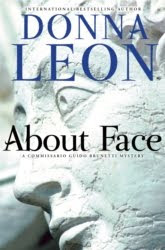 Read my interview with Donna Leon tomorrow! All of the books I’ve included on this list and more are available at The Gypsy’s Store. Ciao! *Frommers sent me a review copy of Venice Day by Day.